Mason wanted children to be trained to hear music rightly. In this way, they would be able to understand messages and ideas that were communicated without words. If we never learn to listen carefully to music, we will never have the opportunity to understand he emotional ideas expressed within. In essence, it would be like not being able to read when she instructs us to read living books in order to gain living ideas through stories. We need the right tools to understand the language we’re learning from. Lacking a musically-trained ear means we miss living ideas that cannot be conveyed through words that musicians are trying to convey. We might be able to appreciate the lovely sound of a piece, but never hear the complexity without our ear being trained to hear the layers of instrumentation and movement of the middle voices in a song, which can create intensity and resolution. She also writes in Ourselves, “Hearing should tell us a great many interesting things,but the great and perfect joy which we owe to him (the sense of hearing) is Music.” After two years of researching Mason’s full-orbed music program, it is apparent that when she writes of “training the ear to listen” in Ourselves, she isn’t merely referring in her volumes to composer study. She is, rather, describing how the ear should be trained in a very careful and calculated way to allow the student to truly love and appreciate music and its power to convey meaning and content to the trained listener. Mason’s musical scope and sequence covered such a vast scheme of things! Each piece is an important part of the puzzle leading to full music literacy. I was truly surprised and pleased when I started my research. As a music education student, I learned that music education should include four key elements: listening, singing, rhythmic movement, and playing instruments. When I initially learned about the CM way of educating, it seemed that Mason only covered composer study, folksongs, and hymns. 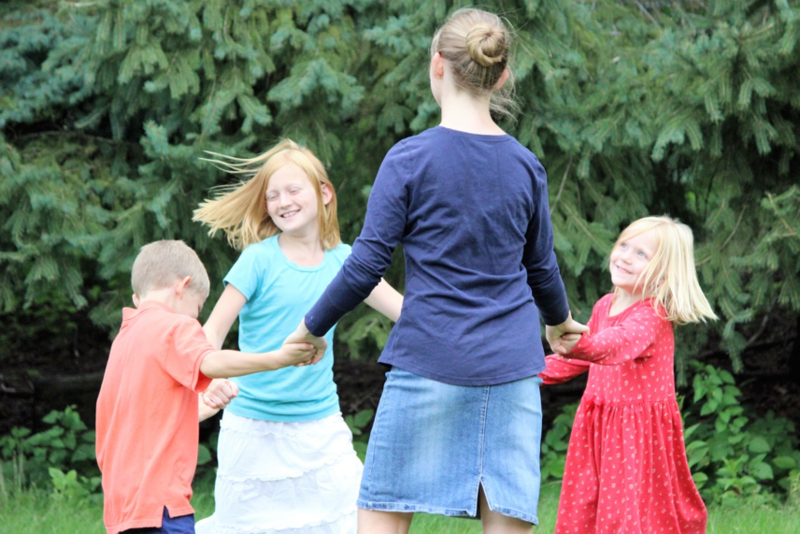 For quite a few years, I felt concerned that she missed the mark when it came to music, for several key components— instrumental music, rhythm, and solfege (ear training and sight singing) for example—seemed to be misssing. I have been happily proven wrong by the PNEU programmes (many now digitized), the Parents’ Review, and L’Umile Pianta. Through these original sources I have found that Mason did in fact include these four key elements of music education. Careful listening or training the hearing sense is covered not only by composer study—what Mason referred to as music appreciation—but also through Sol-fa (or “solfege”), which trains the ear, eye, voice and body simultaneously through graduated ear training exercises. Singing was thoroughly covered through English, French, German, and Italian folk songs, as well as Sol-fa and hymn recitation/singing. Mason also used musical drill exercises during parts of “drill” time, as well as dancing and marching to music. It also appears they may have been skipping rope to musical steps. Of course these exercises would have gone a long way to help students learn about listening, moving, rhythm, beat, etc. The programmes also inform us that there was a very complete piano curriculum recommended for all students and that once children had completed the curriculum, they were to continue playing pieces by the composer they were studying each term. In upper forms students continued their musical studies through living books on music theory, history, and biographies on top of all the lovely things they did as younger students! 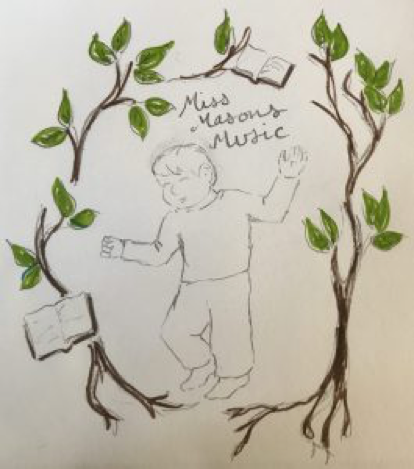 In the Miss Mason’s Music Immersion at CMI East, June 13, I am so excited that I will be able to walk attendees through almost all of the different areas of musical training Mason recommended for the PNEU students! We will cover each subject area: music appreciation (listening), singing and Sol-fa, Drill (movement), and instrumental music (playing). Our time will be broken up into those four key areas. I plan to share briefly about Mason’s principles for each subject, as well as a scope and sequence of study. Living book recommendations will also be made for each subject area. Then the bulk of the time participants will get to engage in the music classes as a student, which will be delightful, because how often do you get to sing, march around a room, and develop your musical ear as a parent or educator? We will go through a full composer study lesson, and participants will get to experience all the steps needed for a complete lesson set up. We will also read through a portion of one of Mason’s living books for teens about music history and genres of music. Sol-fa will come alive as participants try their hand at Curwen’s solfege hand symbols. We’ll practice hearing musical intervals and rhythms together. Foreign language and English Folksongs will also be a part of this subject, and we’ll chat a bit about hymns as well. 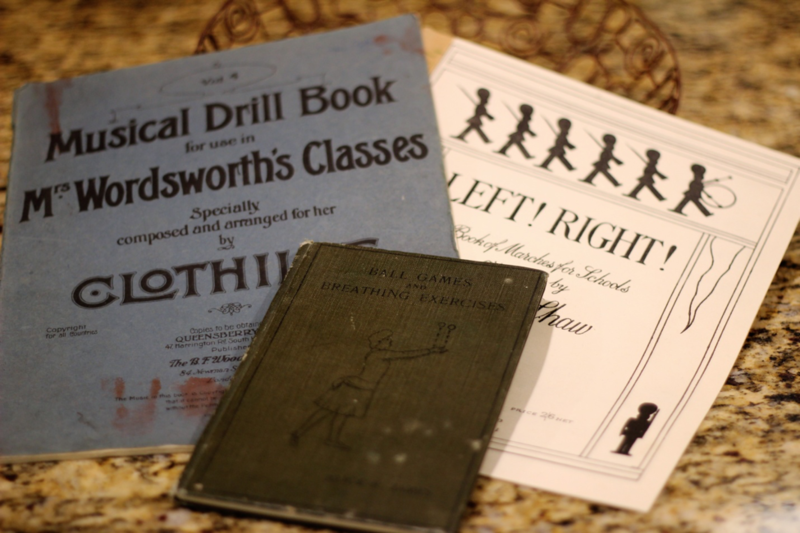 Mason used Swedish Drill for physical education, but other types of drill and dancing were also listed in the programmes under the heading of drill. Mason used a book called Ball Games and Breathing Exercises and that little book made its journey from England to my shelf last year, so we will have the pleasure of moving in rhythm to music together. Folk dancing will be a highlight of the day! Although we won’t have pianos for everyone, we will do our best to work through an early piano lesson from Mason’s curriculum and spend some time reading and narrating from an upper form text on music theory as well. Because these subjects wouldn’t ever be taught straight through in a PNEU time table, we will take each subject one at a time and learn key principles, methods, immerse and practice, discuss and then move on the the next musical subject. 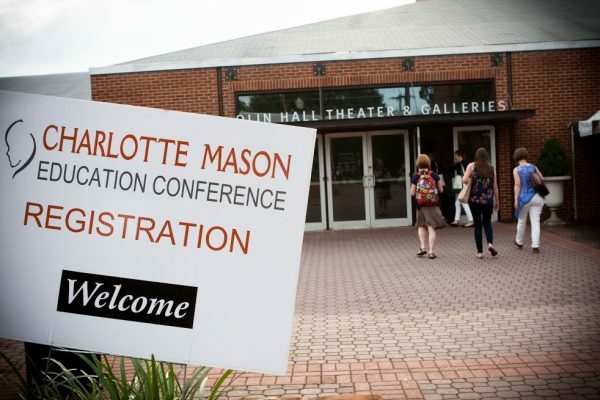 In this way, participants will get a good sense of how each fits into a Mason education. I am so excited to meet you all at CMI East! I am thrilled that I have been given the opportunity to put all of these subjects together into a full, immersion day of learning for parents and teachers. This will be a great opportunity for you to ask all the questions you have about navigating music teaching in your homes and schools. Music is such a delight and offers us and our children a way to worship and express deep ideas and emotion without words. I do hope you will join me for Miss Mason’s Music Immersion! I know that you will love the time we spend Singing, Dancing, Listening and Playing music together!